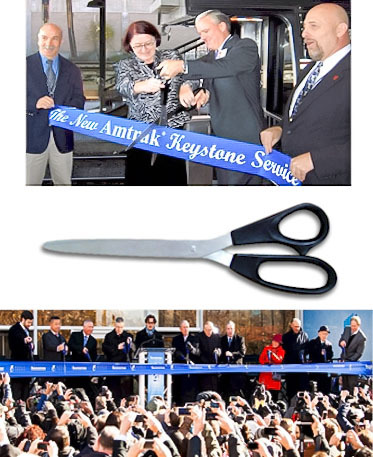 By popular demand, we have manufactured THE LARGEST SCISSORS IN THE WORLD! Now available for rent and guaranteed to cut at 40 inches long. 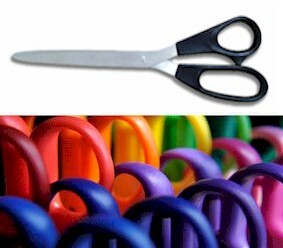 Brushed Polished Ceremonial Scissors Rental. - Click image for details. 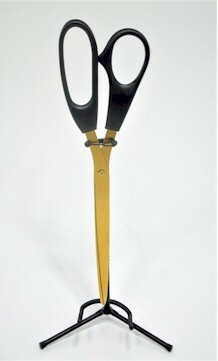 - Brushed Polished Red Ceremonial Scissors Rental. 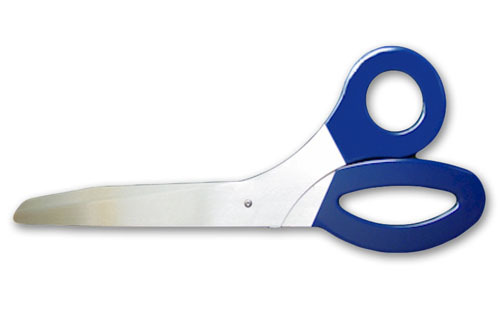 - Brushed Polished Blue Ceremonial Scissors Rental. 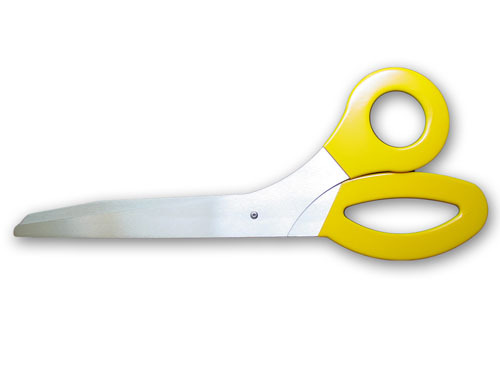 - Brushed Polished Yellow Ceremonial Scissors Rental. 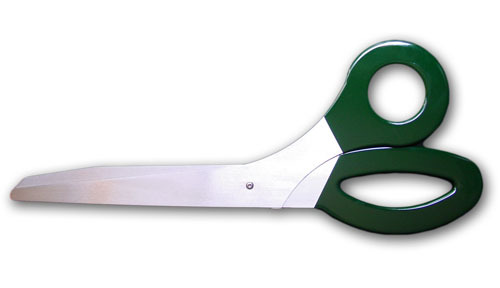 - Brushed Polished Green Ceremonial Scissors Rental. - Brushed Polished - Carolina Blue Handle Ceremonial Scissors. - Brushed Polished -nearly 3 feet long, Metallic Silver Handle Ceremonial Scissors, MADE IN USA. 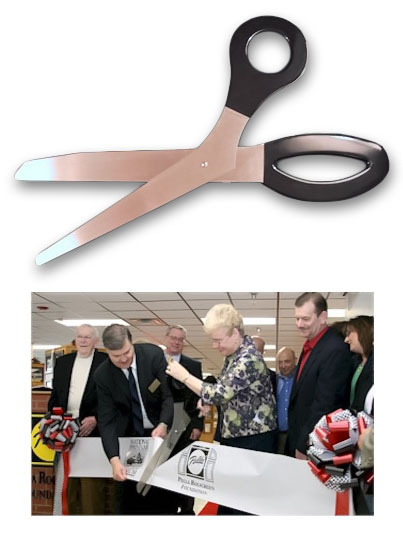 Best price guarantee and ask for a Free Grand Opening Guide book with giant scissors purchase! 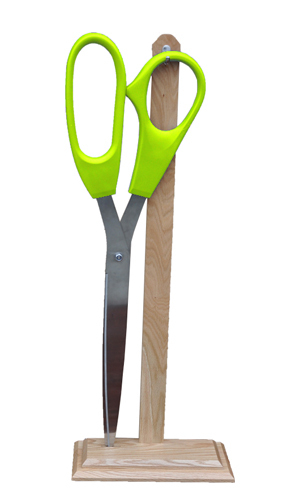 - Brushed Polished - 34 inch Lime Green Handles Ceremonial Scissors. - Brushed Polished - 34 inch Purple Handles Ceremonial Scissors. 25 inch giant premium ceremonial scissors - RED, BLACK, ROYAL BLUE, or GREEN handles and silver stainless steel blades that really cut. 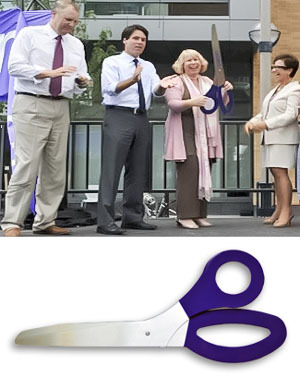 Rent our Giant 25 Inch High Gloss Colored Handles to make your ribbon cutting unique and unforgettable. Here is a second option for displaying your ceremonial products at the site of the event without putting them on the ground. Click image for details. 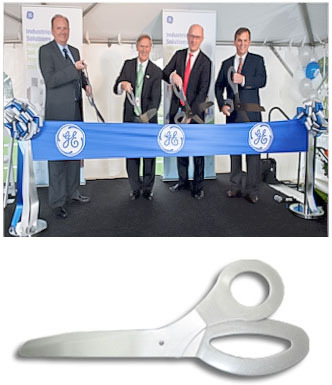 Proudly display your rented 40 inch ceremonial scissors before your ribbon cutting ceremony. 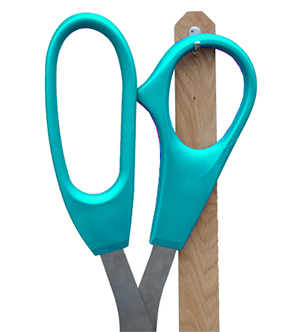 Rent our giant stand to conveniently display your scissors at your ceremony. Rent our 2 foot stand to conveniently display your scissors at your ceremony. 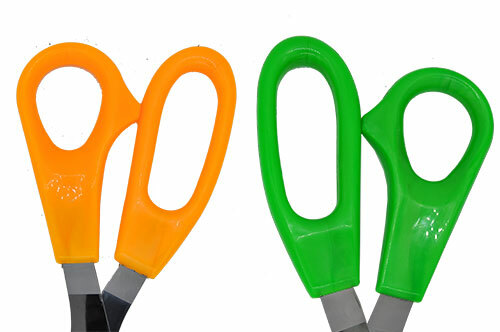 25 inch giant premium ceremonial scissors - RED, BLACK, ROYAL BLUE, PINK or GREEN handles and silver stainless steel blades that really cut.